The amount of your deduction cannot exceed the second-hand value of your car. 1. Can You Write Off Getting Robbed on Your Taxes? Losses arising from a car accident might be deductible from your federal taxable income. Deductible losses can include both property losses and medical expenses. A number of limitations apply to these tax deductions, however, and in some cases you might not be entitled to deduct any of your losses. You must file a separate tax return to report property-loss deductions. 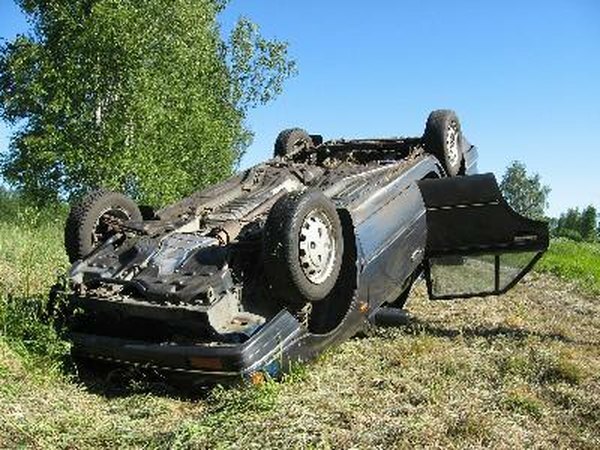 Most car accidents involve damage to property -- a totaled car, for example. If you were insured against the loss, you must file a claim with your insurance company before you claim a tax deduction. You are entitled to deduct only as much as the insurance company doesn't cover, because this amount represents the true amount of your loss. Your loss might result from an insurance deductible, losses that exceed your policy limits, or undervaluation of your property by the insurance company -- your policy might not require your insurance company to take into account the antique value of your car, for example. You may deduct medical expenses from your taxable income only to the extent that they exceed 7.5 percent of your adjusted gross income. This threshold was scheduled to increase to 10 percent for the 2013 tax year. The deduction applies to your total medical and dental expenses for the year, however, not just to medical expenses arising from a car accident. As with property losses, you must file an insurance claim if your loss is covered, and you may only deduct amounts not reimbursed to you by your insurance company. You may not claim a tax deduction for an auto accident if the accident resulted from your own negligence or willful act -- running a stop light, for example, or driving under the influence of alcohol. If you allow someone else to drive your car and he has an accident, you cannot claim the deduction if the driver was negligent or willfully caused the accident. You report property losses on Form 4684 and Schedule A of Form 1040, and you report medical expenses on Schedule A of Form 1040. Although you don't have to submit documentation with your tax return, you should keep records in case of an IRS audit. These records include the amount of your property loss or medical expenses, the amount of any reimbursement, the details of the accident (including the fact that it was not your fault), and your legal ownership of any damaged or destroyed property.